Emagination Design has been serving Courtenay and the Comox Valley for the past 10 years helping clients from all walks of life from professional artists, musicians and performers to accountants, dentists, retail businesses, wellness groups, and non-profit societies. 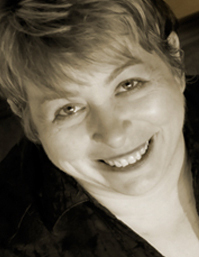 Emagination Design is owned and operated by Comox Valley designer, Sue Pyper. Originally from the UK, Sue’s professional background includes working with several high-profile companies in Europe where she has specialized in corporate branding, web design, graphic design, and project management. As a small business operator with corporate experience, Sue is able to create contemporary web designs and graphic designs and original artwork that capture the big picture and celebrate the details for many local Comox Valley Businesses. Sue is also fine artist specializing in watercolour and pointillism. Her subject matter is varied and engaging, from detailed animal pictures, and touching pet portraits, to abstract drawings inspired by nature. Sue is committed to supporting the Comox Valley’s local business community and collaborates on projects with other photographers, database designers, copy writers and search engine optimization specialists to ensure that your business and marketing needs are met. She brings more than 25 years of graphic design experience to her clients and shares her knowledge and expertise with humour and practicality. A graduate of the Art & Design College in London, UK, Sue Pyper is also an award-winning musician and enjoys working with other recording artists and performers to provide CD product package design, artist web design and promotional materials. Emagination Design is pet friendly. 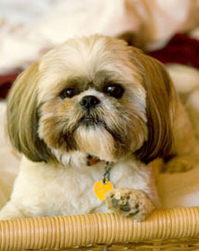 Meet Oliver, our Chief of Security, a friendly good natured Shihtzu who enjoys showing clients his collection of squeak toys, (used to show strong approval or cast his vote on important tie-breaking decisions). Oliver has completed his diploma in dog obedience and when there are no pressing security issues, can be found asleep on his favourite chair. Dog biscuits are welcome! To send Oliver an email, click here.